"In our culture," Isha continued, "Roti doesn't always specifically mean unleavened bread. It can also mean food or meals in general." 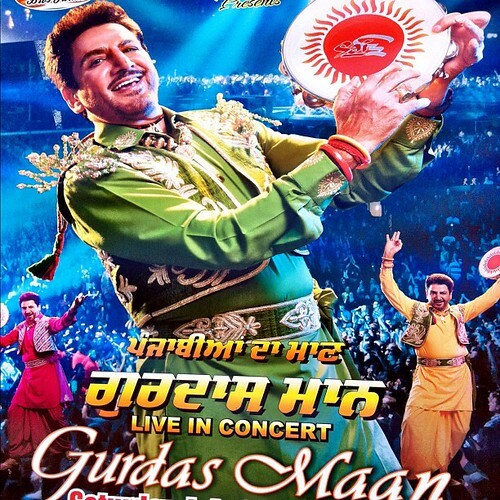 "Gurdas Maan (Punjabi: ਗੁਰਦਾਸ ਮਾਨ) has written and sung a beautiful poem on the Hindu philosophy of Roti. This song is now available on his YouTube channel." "Can we have a look Ma?" Hosh asked excitedly. "Sure," she said and searched the Youtube file for him. "But this song is in Punjabi Ma?" Hosh moaned after they had seen it. "I don't know that language." "I also barely understand it," she answered, "although I grew up listening to Gurdās Mān. Let's go to your father. He'll be able to tell us what it really means." "Is he quite famous then?" asked Hosh, as they walked towards Rosh's office together. "He is a notable figure today," she answered, "in the world of Punjabi music. He's ten years older than your Pa."
"Born in the Indian state of Punjab, he captured national attention in 1980 with his song Dil Da Māmla Hai, meaning 'It is a matter of the heart'." "I was a school student then. Soon after that, came Māmla Gadbad Hai and Chhalla. Since then, he has recorded over 34 albums and has written over 300 songs." "He sings, writes songs, choreographs, and even acts in movies. In 2009, his album Boot Polishan won the Best International Album award at the UK Asian Music Awards." "In 2010, he was awarded an honorary degree of Doctor of Music by the University of Wolverhampton. In 2011, he performed at the Royal Albert Hall, an opportunity that few artists get." "Who are you talking about?" asked Rosh, as they entered his office. "Gurdas Mān," said Isha. "Can you tell us what the lyrics of his song Roti Magar mean? It is from his album Roti." "Roti Magar means 'Chasing Roti'," Rosh said. "But I haven't heard the song. My Punjabi is limited too, you know, but I can try. Is it available on the net?" They nodded and showed him. He watched and listened. "It is a beautiful Punjabi poem," he said finally, "on the ethos of sustenance. Very spiritual, moral, touching, inspiring." "What does it say?" Hosh couldn't contain himself any longer. "Well," said Rosh. "If I transliterate the lyrics verbatim for you, the poet's thought will lose the flair of its expression. So, let me try and translate its spirit, so you can enjoy it better." "Ummm ... There isn't a generous lord like God, who gave nourishment to the whole wide world." "Let mothers shine and be blessed always," Rosh translated again, "... cos they fed and nourished their babies ..."
Bhajji firdi ae roti dey magar duniya, subho shām dupehar nu, khayi roti? "The World is busy chasing sustenance; morning evening and noon, tis the same question. No one knows the secrets of food; where it came from, and who made it. Its worth is unrecognized, where one gets nutrition without any effort." All scriptures consider that person good, who is just and earns an honest living." The bite in the mouth gets pulled out too, cos without His wish it doesn't go in." Only have as much as you can digest; it ain't food if you couldn't endure it."